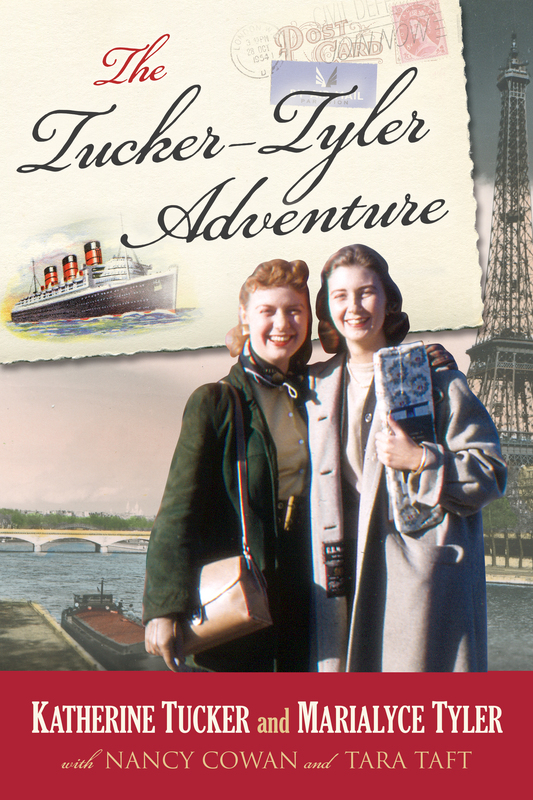 “Almost 20 years after her maiden voyage on May 27, 1936, two young women boarded the RMS Queen Mary and headed to Europe – no Let’s Go travel guide in their hands, no Eurail Pass, no backpacks, and no phones.” So begins Rusty and Kit’s adventure to Europe on September 8, 1954. On board the Queen Mary, the girls made friends with Brits and Americans, danced on the swaying ship, watched the moon and the sun rise, and snuck from Tourist Class to Cabin Class. From The Tucker ~ Tyler Adventure by Katherine Tucker and Marialyce Tyler with Nancy Cowan and Tara Taft. Filed under Armchair Travel, Europe, Queen Mary, Tucker - Tyler Adventure, U.S.
What movies did Kit and Rusty possibly see in the early 1950s that might have inspired or influenced them before their trip to Europe? While I was writing and editing The Tucker – Tyler Adventure, I decided to go to the movies. We walked down steps then to the very edge of the Seine. Remember in An American in Paris when Gene Kelly and Leslie Caron danced at nite along the river? And they came down the steps leading to the street, to this wide cobblestone way beside the Seine? – There we were! I discovered that a lot of the “classic movies” I’d already seen were filmed in the 50s. Movies like Cinderella (1950) and Alice in Wonderland (1951), Singing in the Rain (1952), How to Marry a Millionaire (1953), Dial M for Murder (1954), and Rear Window (1954). 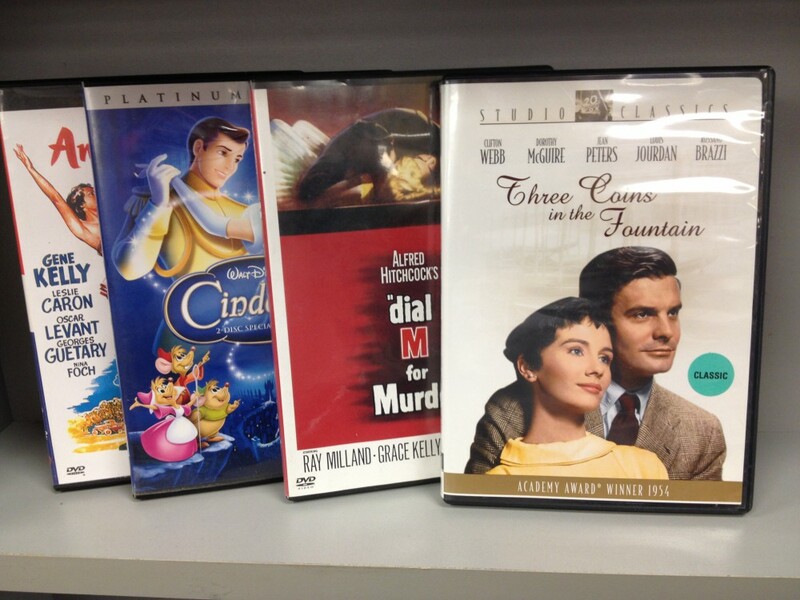 So I watched the movies that Rusty and Kit wrote about: An American in Paris (1951) where two friends fall in love with the same woman in Paris; Roman Holiday (1953) where a princess falls in love with an American newsman in Rome; and Three Coins in a Fountain (1954) where an American young woman falls in love with an Italian prince in Rome. Next time you’re looking for a movie to rent, consider traveling abroad in the 1950s and view one of the movies Rusty and Kit watched. From The Tucker – Tyler Adventure, written by Katherine Tucker and Marialyce Tyler with Nancy Cowan and Tara Taft. Filed under Armchair Travel, Europe, France, Italy, Tucker - Tyler Adventure, U.S. I knew my mother had written letters home from her trip to Europe in 1954, but I had never seen them. In fact, I had no idea they still existed. Until one day in 2007. 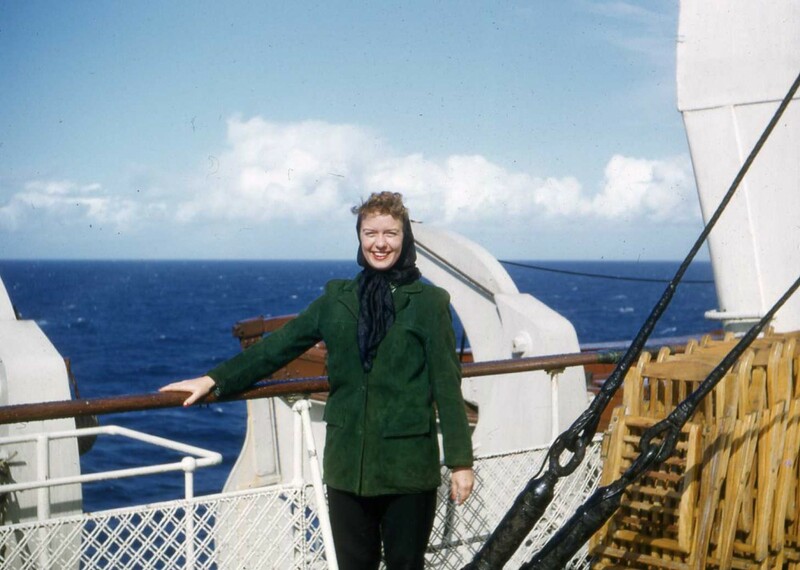 With plans to rent a slide projector so that we could look at Mom’s slides of her trip, I asked her what it was like to be on the Queen Mary. I was looking for the details, and she referred me to her letters. Letters?! What letters? 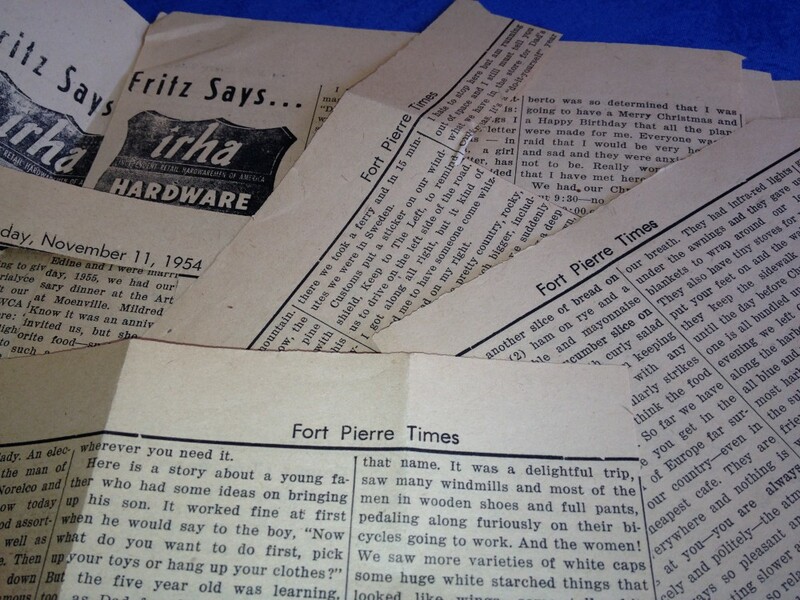 Much to my surprise, my mother’s letters were in a box in the next room waiting to be read. All 69 of them. I began reading them out loud. Written on airmail stationery, in black or green ink (Mom’s favorite color), the letters were written to my grandmother back home in South Dakota. I stumbled over the words, squinting at her writing, and promised to type up the letters so that she could read them on her own. As I typed up the letters a month later, I was captivated. The letters were full of life and personality and included details of the people she met, the food she ate, the places she visited, and the unplanned events that just happened. 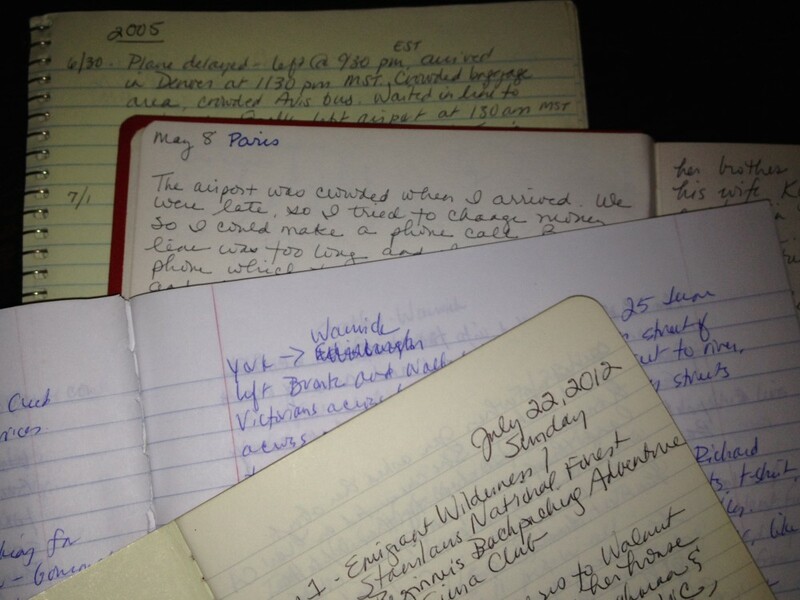 As I watched the two women in their 70s giggle at their memories, I began taking notes. I learned that Kit’s families had saved her letters as well, but it wasn’t until 2010, that I approached Kit’s daughter with the idea to put the letters of their trip into a book. The Tucker ~ Tyler Adventure, written by Katherine Tucker and Marialyce Tyler, with their daughters, Nancy Cowan and Tara Taft, will be published soon. For the next several weeks, I will include a few background details about their trip, extras that weren’t included in the actual book, and I’ll let you know when the book is available. It’s 1954. Pack your suitcase and get ready to travel to Europe with Kit and Rusty aboard The Tucker ~ Tyler Adventure! When I traveled for 3 months in Australia, I felt a little guilty. Not about the trip. I was happy to be there. I was in between jobs and paying my own way. I was in my 20s and without any responsibilities. But I knew I should be writing letters home. 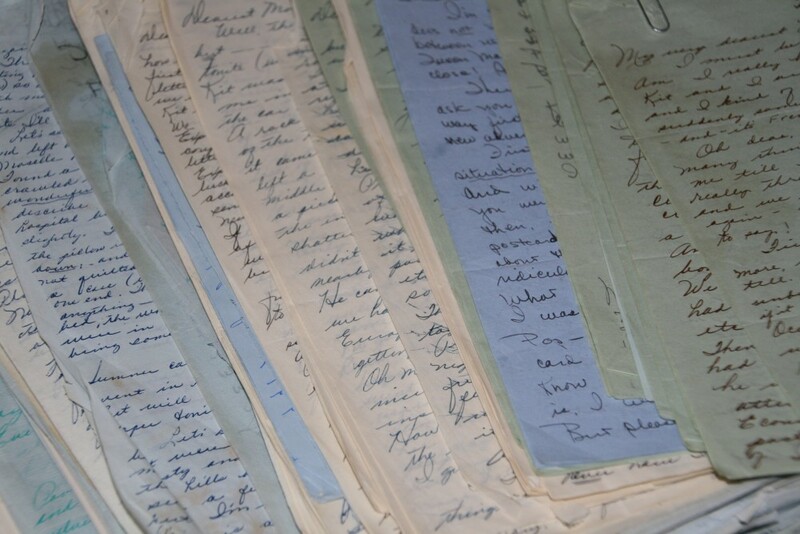 Descriptive and detailed letters like my mother had written to her mother when she traveled to Europe in 1954. But it took so much time, and I just didn’t have the patience. It was all I could do to keep a journal and write a postcard now and then, and that was in the days before email and texting. 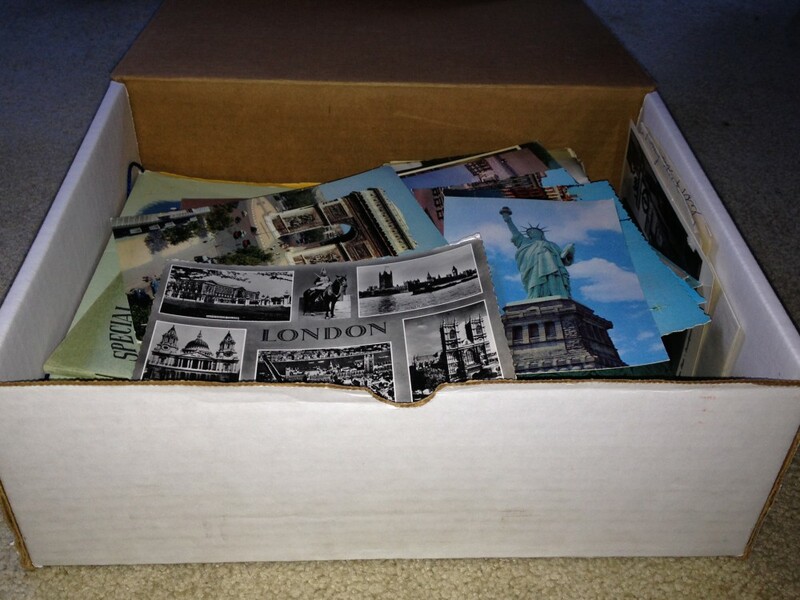 When my mother traveled throughout Europe in 1954, she wrote 35 letters home in just 3 months. Plus postcards. Her writing was so detailed and descriptive that her hometown newspaper published excerpts of her letters (after her mother edited them, of course). I still keep a written journal when I travel, though I usually start out strong and by the end of the trip, I’ve slowed down or even stopped; the details of the last few days left only to memory. Though I blog about my travels, and document the details with photographs, letter writing is a more intimate mode of expression. There’s a difference in the process as well as the outcome when typing and using a mouse to record travels vs. the hand to pen to paper approach. When was the last time you wrote a letter to share your travels? Or even kept a journal? Like the book on Facebook! Buy it now on Amazon.com. Also available at the Concord Bookshop in Concord, Mass.